It’s one of the most magical nights of a student’s life and something they’ll remember forever. Prom night is meant to be memorable and if you’re in charge of organizing a school prom you’ll want to create an event that all of your guests will cherish. You can do that with a Skyline Cruise. We’re in our 25th season of making memories and we can make your 2018 prom a night that will never forget. 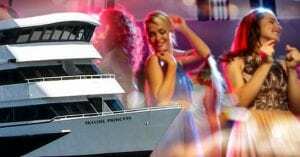 Skyline Cruises can help you create the perfect prom night. We can also help you put together other great school related events such as after prom parties. Or graduation events. 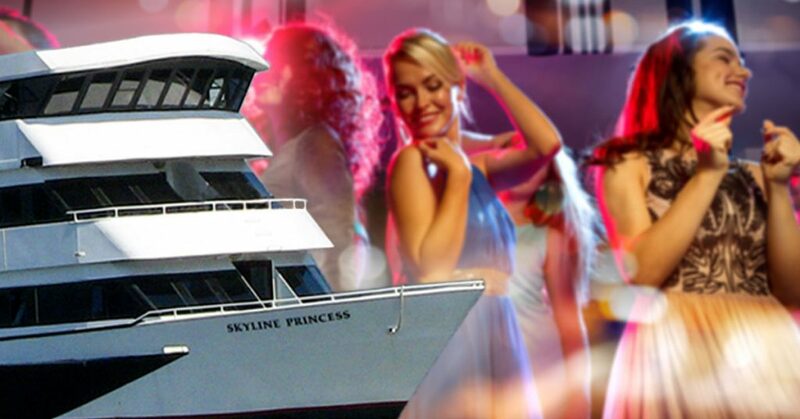 If you’re part of project graduation or if you’re concerned about alcohol at prom or graduation events, we can create an alcohol-free environment aboard our 3-deck luxury yacht, the Skyline Princess. Skyline is also the place to go if you’re organizing a school field trip, an end of term awards dinner or if you’re planning alumni events, official or unofficial school reunions or if you want to do fundraising for the school, clubs or activities or for an athletic team. Let us show you how we can make prom night magical. There are plenty of reasons to book your prom aboard a Skyline Cruise, but one of the biggest reasons are the sights you’ll see. You can hold your prom in the shadow of some of the most famous and beautiful sites in the world including the Empire State Building, Brooklyn Bridge and Lady Liberty. Many of our cruises including all of our public cruises leave from our home port located in Queens at the World’s Fair Marina and travel along the East River. But we also offer full ship charters throughout the Metropolitan area in Manhattan, New Jersey, Westchester, Connecticut and Long Island. So you can also cruise Long Island Sound, the Hudson, or the Connecticut coast. And The Skyline Princess is the perfect place to hold a party. Our lower decks can be used as a dining space and we can give you plenty of options from a cocktail party to a full banquet. We’ll give you choices of appetizers, entrees as well as a salad and dessert. Our top deck, which is also called the Skyline Deck is a place where your guests can party the night away. It’s where our dance floor and DJ space are located and it can be adjusted to be open air or closed. The Skyline Princess is climate controlled and we cruise all year round. We can work with high schools to create the perfect prom night. In fact, we can create all types of events from corporate gatherings to weddings and family celebrations. If your group or budget doesn’t require a full ship charter, talk to our event planners. We often rent a private deck or even a table or two for smaller events. Let us know what you’re looking for and we’ll try to make it happen. To learn more, contact us today.